Everywhere we look around the globe, we sometimes spot a country that is filled with paradoxes – but none come closer to this situation than the Democratic Republic of Congo, located in Central Africa. The second largest country in Africa (and largest in Sub-Saharan Africa), with a population of over 78 million people, Congo might strike someone as an emerging, powerful African nation – considering the immense deposits of raw minerals that they have (estimated to be worth in excess of US$24 trillion) – but that’s far from the real truth. Despite such vast mineral wealth, the economy of the Democratic Republic of Congo has declined drastically since the mid-1980s, as a result of bad economic reforms, constant civil turmoil, foreign exploitation and last but not least – a falling political system that never had the chance to progress towards a stable democracy. Moreover, in the last decade or so, DR Congo was involved of what some international observers call “Africa’s world war”, a conflict that claimed up to six million lives, either as a direct result of fighting or because of disease and malnutrition. So, how can a country that has so much potential end up in this situation? Well, the entire scenario is a lot more complicated than we all think – and the truth is nothing less but hurtful and grim. DR Congo was, for most of its modern history, under the occupation of foreign administrations that only had their eyes on the immense riches of the land. 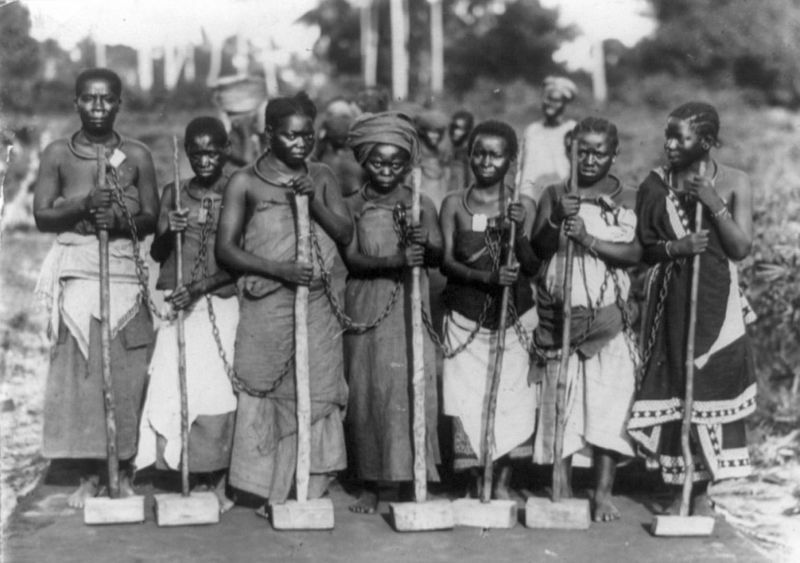 The Belgian occupation of the country, supervised directly by King Leopold II, left behind a dark page in the history of mankind: during the period of 1885-1908, millions of Congolese died as a consequence of exploitation and disease; in some areas, the population declined dramatically – it has been estimated that in total, it was “reduced by half”. Belgian colonists brutalized the local population into producing rubber, a material that was much needed at that time due to the international growth of the automotive industry. Supply and demand, after all. In 1908, however, despite initial reluctance, the Belgian parliament was forced to bow down to international pressure and it ultimately took over the Congo Free State from King Leopold II, formally annexing the country as a Belgian colony. This so-called transition would bring no change to Congo in the years to come, as the Belgian priorities strictly remained intertwined with the natural and mineral riches that they could extract from the Congolese lands. Thus, indigenous courts had only limited powers and remained under the firm control of the colonial administration; political activity was not permitted in the Congo whatsoever; a locally-recruited army under Belgian command – the Force Publique – was tasked with putting down any attempts at rebellion or dissent. After Independence comes … peace? This all ended in 1960, when the Belgian Congo achieved independence on the 30th of June, under the name “Republique du Congo”. As we’ve quite seen already, there’s a pattern forming – we might expect this time around for a peaceful resolve, as the country just gained its independence, but there’s no happy ending in this story. Shortly after the 30th of June, the Force Publique mutinied and full-out war quickly erupted across the country between various factions. The one that eventually emerged as the strongest was Joseph Mobutu, the Congolese Chief of Staff of the Armee Nationae Congolaise (ANC) – with financial support, of course, from the United States and Belgium, who didn’t want the future of Congo to be influenced by communists. As a result, a constitutional referendum after Mobutu’s coup of 1965 resulted in the country’s official name being changed to the “Democratic Republic of the Congo” – which was later changed again in 1971 by Mobutu, this time to “Republic of Zaire”. The period of time between 1971 and 1997 was, for Congo, another hardship to endure. A one party-system was established, and Mobutu declared himself head of state – regular elections were held in which he himself was the sole candidate. Corruption became so prevalent in the country that the Republic of Zaire essentially became a “kleptocracy”, as Mobutu and his associates embezzled government funds and international aid funds. Moreover, his government was guilty of severe human rights violations and systematic political repression. All of this was allowed to happen up until the dissolution of the Soviet Union, after which the U.S. relations with Mobutu drastically deteriorated, as he was no longer deemed necessary as a Cold War ally against communism. After the proclamation of the Third Republic in 1990, whose constitution was supposed to pave the way for democratic reform – but turned out to be largely cosmetic instead -, Mobutu was eventually forced to flee Congo – Zaire for his own life by a coalition of Rwandan and Ugandan armies that invaded the country to overthrow his government and take over control of the mineral resources. Laurent-Desire Kabila, leader of the Alliance of Democratic Forces for the Liberation of Congo (AFDL) – that comprised members of the Rwandan and Ugandan armies – marched through the capital city of Kinshasa, in 1997, naming himself president and reverting the name of the country to the Democratic Republic of the Congo. This was the start to yet another bloody affair that would leave millions of people displaces or killed, as the newly formed governmental forces clashed with rebel armies for control of the resources and land. Kabila himself would end up assassinated in 2001, with his son, Joseph Kabila, succeeding him. The hostilities of the Second Congo War would eventually officially end in 2003, when talks led to the signing of a peace accord in which Joseph Kabila declared that he would share power with former rebels. After a new constitution was drafted and approved by the voters, on the 30th of July 2006 the Democratic Republic of the Congo held its first multi-party elections in history – which resulted in an all-out dispute between the two candidates over the official results, dispute that led to street battles between supporters all throughout the day. UN peacekeepers had to intervene and take control of the city – as a consequence, new elections took place in October 2006, which Kabila ultimately won. Joseph Kabila Kabange, President of the Democratic Republic of the Congo, seen during an interview with reporters of DER SPIEGEL at his residency in Kinshasa, Democratic Republic of the Congo, May 16, 2017. Mr. Kabila has been overstaying his constitutionally granted two terms in office and has postponed elections that were schedule for the end of 2016. He has not stated if he intends to step down, fueling fears that he wants to cling to power. Since Kabila became President of the Democratic Republic of the Congo, there are estimates that put the total number of deaths that occurred in the country from 900.000 to 5.400.000. In 2009, the New York Times reported that people in the Congo continued to die at a rate of an estimated 45.000 per month. Most of the deaths occur due to widespread disease and famine and reports indicate that half of the individuals that have died are children under the years of five. Frequent reports from international observers talk about widespread violence, causing hundreds of thousands of people to flee their homes – one report even goes as far as estimating the number of Congolese raped women to 400.000 per year. Sadly, the sad story of Congo is still getting written by the main culprits – and thousands and thousands of people are still getting hurt daily. 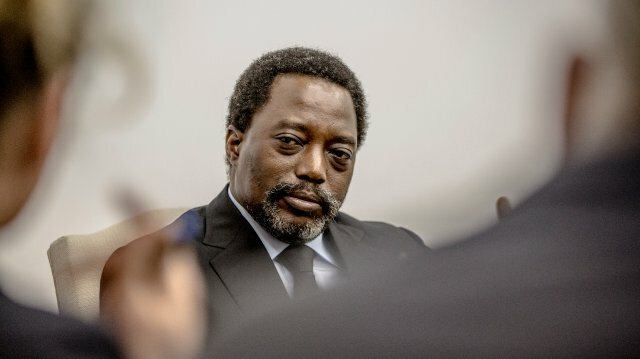 In the last couple of years, major protests broke out across the country, with protesters demanding that Joseph Kabila step down as President after news erupted of him wanting to change the Constitution in order to keep himself in power on an indefinite period of time. The Presidential elections, planned for the end of 2016, were abruptly cancelled by the Congolese Foreign Minister, Raymond Tshibanda, who told the press nonchalantly that the Kabila government had consulted election experts from Congo, the United Nations and elsewhere, and that “it has been decided that the voter registration will end on July 31,2017, and that elections will take place in April 2018”. 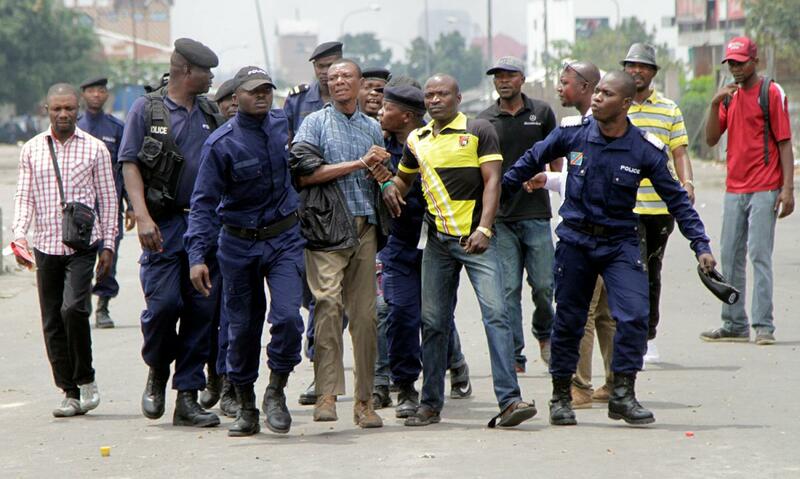 When Kabila’s term in office ended, on the 20th of December 2016, protests broke out in the country – the response? Dozens of protesters were killed, and hundreds were arrested. The situation in Congo will never change for the better. As long as foreign investors or powers will continue to prop up regimes such as the ones mentioned above, just for the sake of profit, wealth or ideology, the people will continue to suffer at the hands of madmen and butchers. As long as the international community will continue to pretend that it cares for the African people, all in the while sending aid to the warlords themselves, these countries will continue to burn, quietly. As long as international corporations will continue to exploit these lands and resources in the name of capitalism, at the detriment of the Congolese people that are literally enslaved to do the jobs, the hypocrisy of everyone involved will continue to reign above everything else. This is the real story of a country that might have been prosperous, if not for greed and inhumanity.